The Silent Governess - 5 stars! Julie Klassen has done it again – another wonderful adventure / romance set in nineteenth century England. The Silent Governess has everything I love in a story – mysterious places, scary villains, a handsome hero, and a heroine who is searching for answers. It’s the kind of book you reach for when you just want to escape and do absolutely nothing but read. I started it in the morning and kept reading until I finished. I just couldn’t put it down. The basic plot is about Olive Keene who thinks she may have murdered her abusive father. Consequently, she runs from home carrying a secret that she can only open upon the death of her mother. Her hope is to get a position with her mother’s former friends and wait out the news of what actually happened to her mother and father. In the process of running away, she gets involved in another mystery between Lord Bradley and his father. Because she overheard the secret, she is forced to remain at the Manor House as a governess to the children. She has also lost her voice, so she can’t talk. The mystery, adventure, and romance escalate from here. The Silent Governess is listed as Christian fiction; however, don’t be fooled into thinking that this is just another cheesy Christian book. There’s no preaching; rather the characters model the Christian life in speech and action. It has well-developed characters, an exciting plot, and a satisfying ending. Definitely 5 stars! SPEAKERS: Amy Lennex, Editor Sleeping Bear Press; Kate Fletcher, Associate Editor Candlewick Press; Greg Ferguson, Editor Egmont USA; Stephen Fraser, agent, Jennifer DeChiara Literary Agency; Art Director, Kerry Martin, Senior Designer, Clarion. See Web site for more information. I've been busy this week rewriting my kids book for the Critique-a-thon on the 30th. I also signed up for the SCBWI Conference in March and a nonfiction children's book writers retreat in June. On Tuesday, I went to the Tulsa Night Writers meeting. 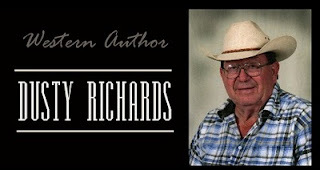 The speaker was a western author, Dusty Richards, who's written almost 100 books. I joined this group, too. Eventually, I'll probably end up just participating in one or two groups, but right now I'm trying to find my fit. A survey done by BISG on consumer attitudes toward e-books. It’s practically as big as the Bible, too! For those of you interested in knowing more about Social Media (Twitter, Facebook, Meebo, Plurk, Digg, Vimeo, PodBean, BlogTalkRadio, Second Life, etc. 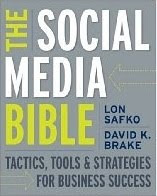 ), The Social Media Bible by Lon Safko and David K. Brake is the book to buy. The information found in The Social Media Bible is comprehensive, timely, and practical. It provides the historical background of social media as well as how to use social media as a strategy in your marketing plan. It describes what each social media tool is, how it can be used, what other applications work with it, who uses it, and even gives suggestions on who SHOULD use it. I’ve read just about every other book on social media and none of them are as complete as this one. As well as being an essential resource for everyone involved in marketing, PR, and business, this could well be used as a textbook for college classes in social media. To keep the information timely, the authors have included a link and log-in information for purchasers to access up-to-date information. For those of you who self-publish or who are independent publishers, check out SPAN (Small Publishers Association of North America). This organization provides information on small publishing as well as printing, production, shipping, and marketing benefits to its members. You'll find resources related to traditional book production as well as to digital publishing, writing and editing, marketing and entrepreneurship, all specifically focused on small publishing. This month, SPAN created a Blogging Network for its members. I've been looking for a network of self-publishers and now we have one! I forgot to mention Therese Stenzel from WIN. Therese is a writer of historical fiction set in England. She's also a great motivator! I met her at the WIN meeting and watched her in action. She got me motivated! For those of you who want to write, check out her Web site. Therese offers a variety of writing tips and resources to help get you started. You can find her book, A Bride by Christmas, on the Amazon Web site. Today, my trainer, Stephanie Galuppo, encouraged me to participate in the Know Your Own Strength Challenge and I agreed! There are several categories to enter, including one for my age - 60+. So now I have a new motivation to work out. The challenge lasts twelve weeks. That will bring me to May, almost a year since I started on this weight loss/healthy eating program. As a recap, I started in June 2009 at Weight Watchers. I added Gold's Gym in August when the new one in Broken Arrow opened. Then, I hired Stephanie to train me in November. So far, I've lost 40 pounds and several dress sizes. I have 20 pounds left to reach my goal weight. I know this challenge will help me get there. Now that I'm out of college, I have time to work on my fiction and children's writing goals. I also have time to get involved in a writing group or two. This month, I've been checking out local writer's groups to find one that would not only help me with my writing goals, but also be one in which I would enjoy volunteering my time. So far this month, I visited SCBWI-OK (Tulsa group) and WIN. Both were wonderful. At WIN, we watched a video about The Hero's Two Journeys. It was excellent and I learned a lot. I'm looking forward to attending again next month. Last week, I went to SCBWI - the Tulsa Schmooze. I had the privilege of talking with Anna Myers and Gwendolyn Hooks. That was a treat! They are both excellent writers and speakers. 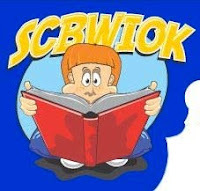 I've also signed up to go to a SCBWI critique the end of January, their Spring conference in March and their nonfiction writer's conference in June. Next week, I want to visit the Tulsa Night Writers group. There are so many great groups in this area. It's going to be hard to decide in which to get involved on a regular basis. In the meantime, I'm busy rewriting and rewriting and rewriting a children's story that I want to have critiqued at the March conference. So much to look forward to. I guess I won't miss college after all! My New Year's Resolution is to write a fiction story for publication. I have two ideas that I'm working on. In the meantime, I'm reading some books on the subject, as well as getting involved in some writer's groups. I will probably narrow the groups down to one or two after I decide which are the best fit for me. 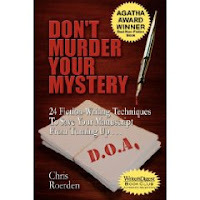 My first goal: read some of Anna Myers books for kids and finish Don't Murder Your Mystery by Chris Roeden. My second goal: rewrite one of my children's story and attend the SCBWI critique.